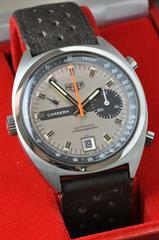 When I was offered this Carrera 1553 S in NOS (New Old Stock) condition I could not resist. 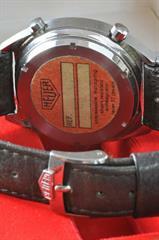 It originally came from a former employee of the Danish Heuer agent, who got it when they closed the agency. 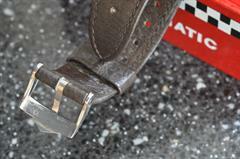 The watch is a genuine NOS and won’t be NOS anymore if I wear it. 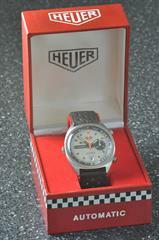 As my watches are to be used, it is now traded for another Heuer.